How Many Times Can I Appeal My SSD Claim? Your medical condition doesn’t allow you to work. Yet, amazingly, your application for social security disability benefits was denied. This can be a heartbreaking outcome, but doesn’t have to be the end of the road. The next steps that you take are crucial. 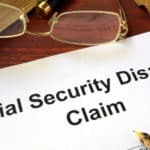 Given the upsetting nature of the denial, you can be wondering – how many times can I appeal my social security disability claim? The right answer isn’t always a direct number – and there are multiple routes to take. First, let’s look at the facts. About 70% of social security disability claims are denied the initial time. Yet, about 50% of all applicants eventually end up receiving benefits. This means that many initially denied applicants do end up with the benefits they deserve. But those that are successful go about it smartly. 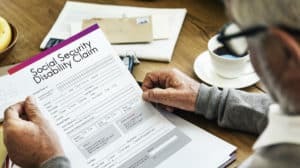 First, it is always best to have an attorney involved whether appealing a social security disability denial or re-applying – and assistance when applying the first time is also recommended. Given that an appeal can take a long period of time, involve multiple hearings, judges, etc, you will want legal representation that understands the ins and outs of what information should be presented and how. While you can apply for social security disability benefits multiple times, there is no reason to apply again if nothing has changed with your medical and physical situation or if you aren’t presenting new evidence. If you simply apply again using the same process, and have no new information to present, it is very unlikely that you will be approved. This is where an attorney can assist you. It may be the best course of action for you to visit an independent medical expert to give their opinion in order to get new evidence from a professional. An attorney can help you choose the proper expert who specializes in your condition to ensure that the right avenues are taken to show your inability to earn a regular income. In addition, if something has changed with your medical and/or physical condition, that information needs to be properly added to your claim. But again, how to present this information is key, as if you have already been denied, it will need to clearly show that your condition has changed and be convincing that benefits are now required. An attorney can also help you out with the decision on whether to apply a new social security benefits claim, or appeal the existing denial. For example, in an appeal, you can request that an administrative law judge look at your case. They may approve you for benefits regardless if you’ve applied again or been denied multiple times. But again, given the many nuances to each case and situation, an attorney is the best way to know which route is best for you. By submitting multiple applications or attempting an appeal on your own, you could be hurting your chances to eventually getting the benefits that you deserve. Tabak Law is in a unique position to help individuals in this scenario, as the firm has helped thousands of denied individuals receive benefits just in the last few years. Contact them risk-free at 844-432-0114.